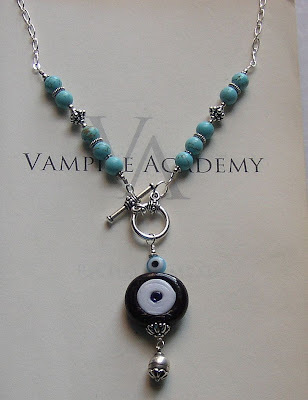 I've been meaning to remind everyone of the beautiful jewelry that Psynde makes, inspired by Vampire Academy, and I thought today would be a good day to do that since it's the last day she's offering free shipping in her Etsy shop. WORLDWIDE! I know it's a little late to mention that fact, but whether you have the opportunity of free shipping or not, Cemetery Cat Jewelry is well worth the visit. Click here to see more of Psynde's beautiful jewelry and to place an order.